With wide range of Toronto theatre venues, breathtaking performances, popular theatrical festivals and established theatre companies, Toronto is fittingly called the "Broadway North". Whether you're a literary buff, a drama enthusiast or an entertainment junkie  breathtaking theatres in Toronto have a little bit of something for every taste. Toronto Theatre District is home to some of top-notch theatre venues in the world, presenting a rich mixture of entertainment for all tastes. 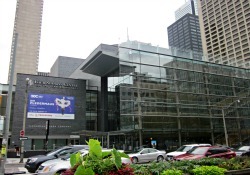 In fact, with large number of performance venues, Toronto has blossomed into the world's third largest centre for English language theatre productions, following New York and London. Here you will enjoy mega musicals, avant-garde Broadway shows, touching family shows, side-splitting comedies and epic drama. Classic and contemporary major theatres bring headliner performances while smaller theatres offer some excellent theatre events. Toronto theatre venues themselves range from aesthetically captivating and glamorous to modern and trendy venues. While several of the Toronto theatres are new, many historic venues have managed to stand the test of time. Whether your tastes lean toward classic Macbeth presented in one of Toronto's historic theatre or contemporary experiences like a modern rendition of the Beatles rise to fame, presented in ultra-modern establishments, you'll have your pick of venues. Toronto also prides itself on being home to the Canadian Opera Company, the National Ballet of Canada, the Toronto symphony Orchestra, the Canadian Electronic Ensemble and the Canadian Stage Company. For any avid fan of theatre there are several downtown Toronto venues that stand out. Here is a list of some of those venues. For most of the shows, you can buy tickets directly from theatre's website. But big name productions tickets sell out pretty quickly. If this is the case, check out the following two major ticket resellers. 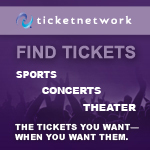 They offer huge selection and guaranteed tickets for headliner performances. To get cheap, half-price, discounted tickets for theatre, opera, comedy, music and dance, visit T.O. Tix booth located in the heart of downtown Toronto at Yonge-Dundas Square. You can get half-price same-day tickets as well as discounted advance tickets, both in-person and online. 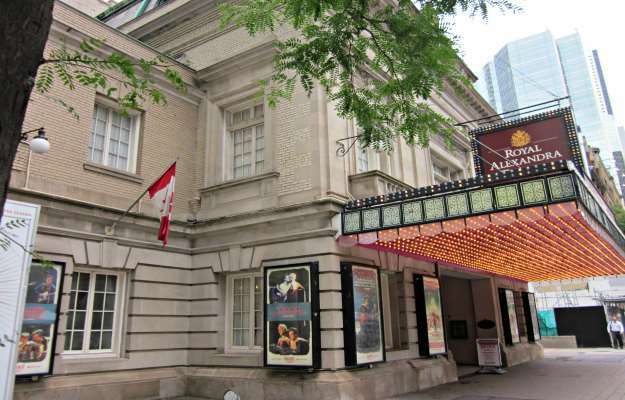 Built in 1907, the Royal Alexandra Theatre is one of the oldest Toronto theatre venues. Hailed as a national historic monument, the fascinating theatre is a magnum opus of beaux-arts architecture. The crown gem of the Mirvish Productions, the historic Toronto theatre is a wonderful venue for musicals, drama, concerts and comedy shows. 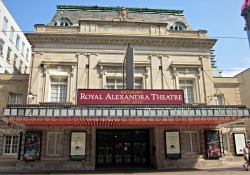 See Royal Alexandra Theatre for upcoming performances, shows, tickets and other related information. Centrally located in the heart of the Theatre district, The Princess of Wales Theatre is a fantastic fusion of modern style and old-world charm. The theatre features state-of-the-art sound system, outstanding sight-lines and above all one of the largest stages in North America, making it Toronto's top venue for large-scale theatrical productions. 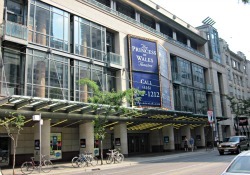 See Princess of Wales Theatre for upcoming performances, shows, tickets and other related information. The Ed Mirvish Theatre (formerly the Canon Theatre) is a magnificent historic theatre, designed by famous architect Thomas Lamb. After extensive renovation and face-lift, the elegant theatre reopened to rave reviews in 1989. Today's Ed Mirvish Theatre (renamed in honour of Ed Mirvish on December 6, 2011) is an iconic showplace where you can see big ticket performances, Broadway musicals and opera. 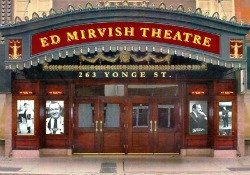 Read Ed Mirvish Theatre for upcoming performances, shows, tickets and other related information. 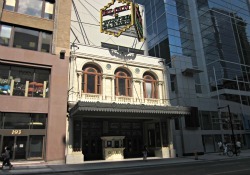 The Elgin and Winter Garden Theatre Centre is the last operating "double-decker" or stacked Edwardian theatre in the world. Opened in late 1913, the large Eglin Theatre at the lower level boasts gilded cherubs, faux marble and damask wall fabrics. The Winter Garden Theatre upstairs looks like a rooftop garden in full blossom. Designated at a national historic landmark, this historically elegant and impressive theatre centre is a must for avid fan of theatre. See Eglin and Winter Garden Theatre Centre for upcoming dramas, musicals, concerts, operas and tickets. The modern, 2035 seats Four Seasons Centre for the Performing Arts is a breathtaking opera house. Designed by Jack Diamond, the architectural wonder enjoys sophisticated interior design and ultra-modern acoustics. It is a home to the Canadian Opera Company and the National Ballet of Canada, and offers a wide range of classic and contemporary opera and ballet performances. Check Four Season Centre for the Performing Arts for forthcoming performances, shows, tickets and related information. Managed by Mirvish Productions, the Panasonic Theater is a recently re-built, modern theater located near the upscale Bloor-Yorkville neighbourhood. The theater has fantastic sound system, comfy seats and offers excellent views from almost every seat. 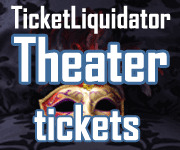 For upcoming performances, tickets, hotels and map, check our Panasonic Theatre page. Established in 1979, Buddies in Bad Times Theatre is the largest queer theatre company in the world. With a mission to promote queer theatrical arts and expression, this exclusive theatre company produces some jittery, alternative, radical and wacky performances. The company is famous for exceptional and quirky productions that you will not see anywhere else. But many of their shows are not everyone. Located in Wellesley-Church area, Toronto's gay and lesbian district, the theatre offers "Pay What You Can" (PWYC) performances on Sundays. So, the next time you stop in Toronto and are looking for a little bit of culture to spice up your holiday, Toronto theatre is an absolute must. With a large variety of entertainment, each of the remarkable theatre venues gives you unique chance to enjoy every part of the performance and immerse yourself into art and culture.